I found this photo in my 2008 collection. 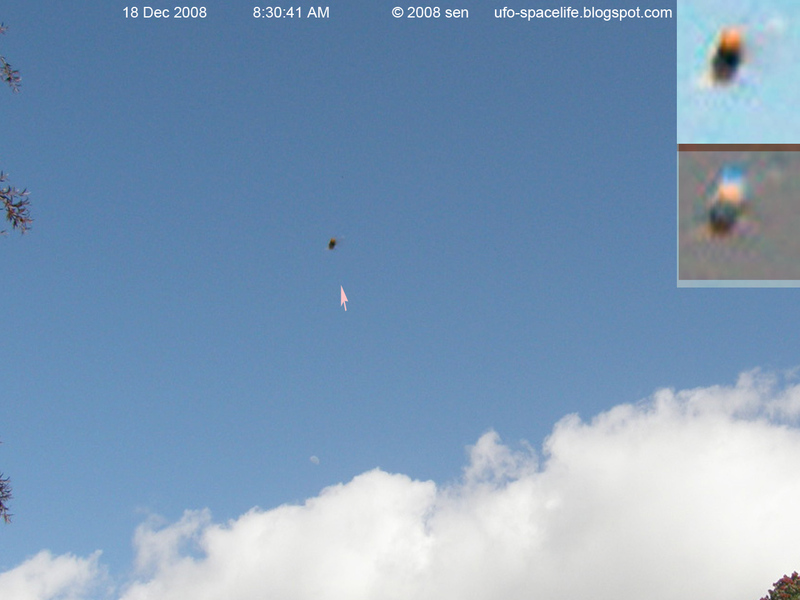 This UFO image looks similar to the picture “orange light ball and rectangle UFO” http://ufo-spacelife.blogspot.com/2010/07/orange-light-ball-and-rectangle-ufo.html . Are they the same object ? This picture was captured on 18 Dec 2008 8:30:41 AM, camera exposure time 1/1000 second. It shows one orange colored light ball popping out from the black UFO.